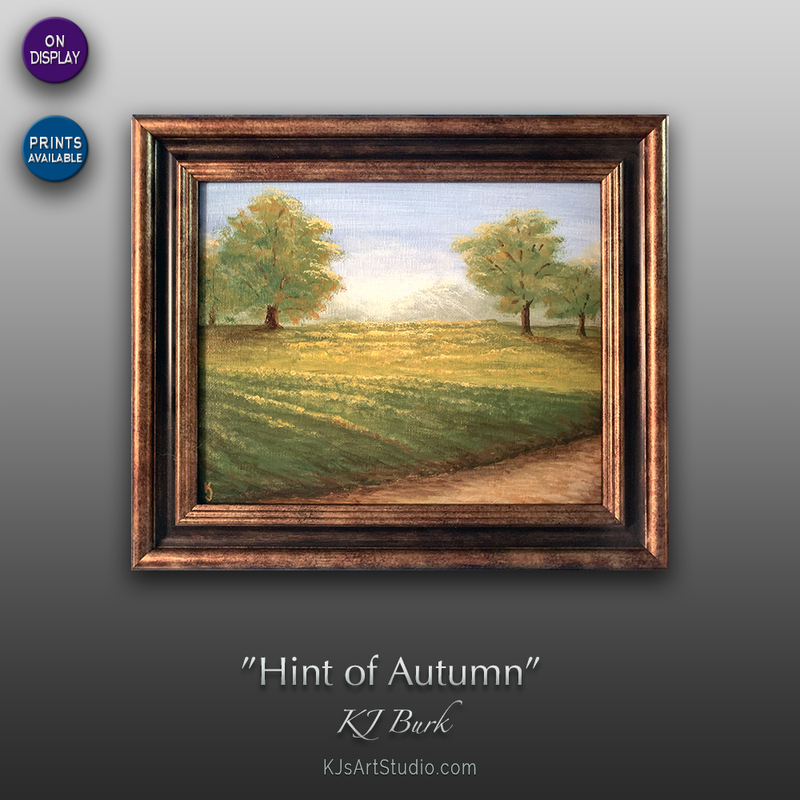 DESCRIPTION: “Hint of Autumn” is an original landscape painting by fine artist, KJ Burk. It is displayed in an elegant goldtone wood frame that is wired and ready for hanging. ~ All shipped art is carefully packaged and insured. NOTE: This painting will be heading to a gallery soon! ~ Save money and buy direct from the studio now!